Howdy neighbor! Unless you've been living under a rock you've heard Netflix is doing a Full House reboot launching February 26. D.J. is a single mother, Danny is a grandpa, and I feel SUPER OLD!! 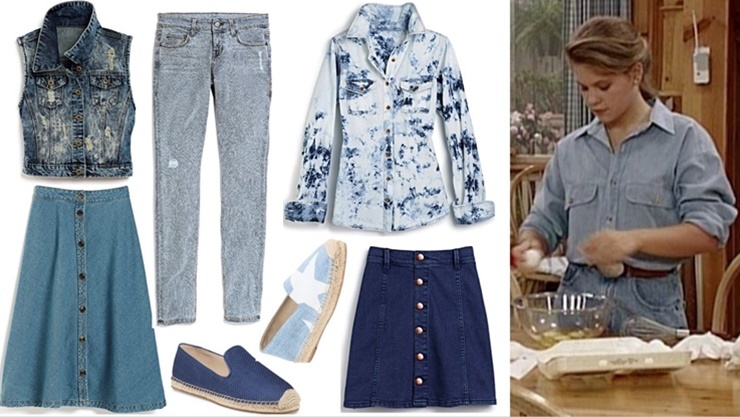 In honor of the premiere, here are some fun Full House inspired fashion from T.J.Maxx & Marshalls channeling the style of the Tanner sisters. With ‘90s fashion making a comeback – from fringe to denim and more denim – T.J.Maxx & Marshalls have all of the on-trend designer merchandise that capture the iconic looks from the show.